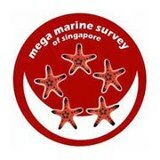 This year, SBR through its CSR initiative: The Biodiversity Portal of Singapore (biodiversity.sg) will contribute to the Singapore Mega Marine Survey. 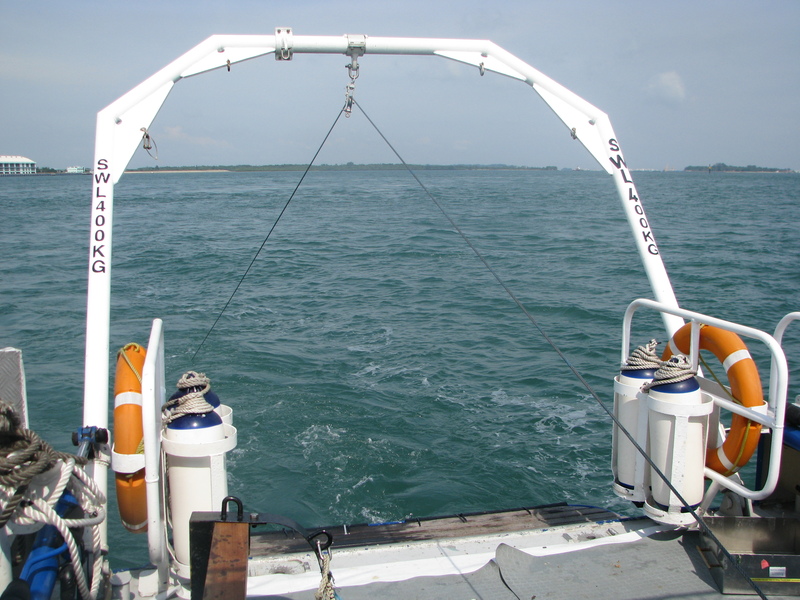 We will be on the front-line of marine dredging activities and will contribute to the sampling and exploration campaigns. 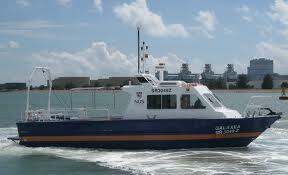 SBR will also raise awareness on the findings. 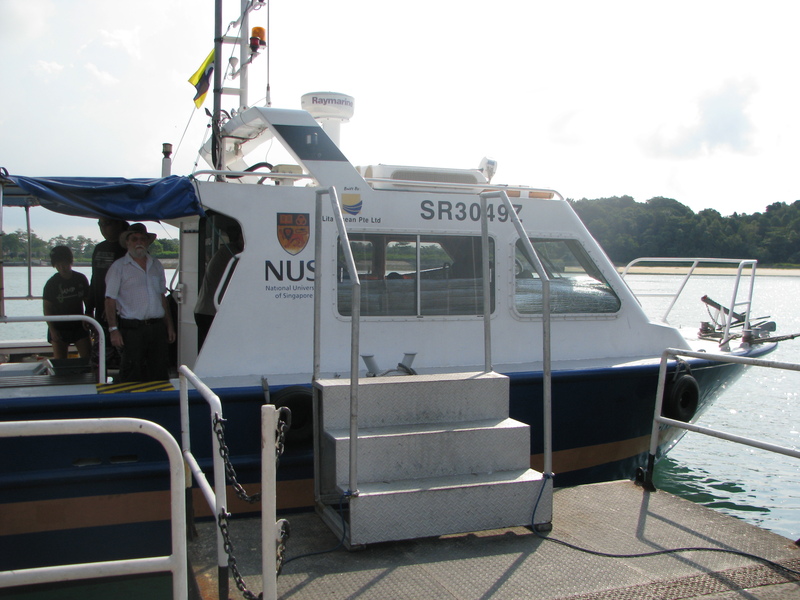 On 15th may 2013 SBR was present to contribute to the first expedition of the Singapore Mega Marine survey abord NUS research vessel the Galaxea. 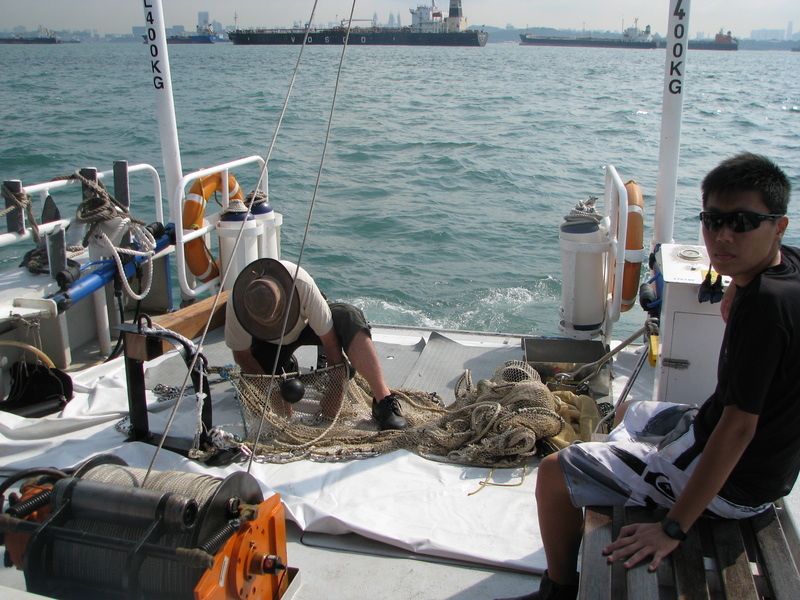 Captain Barazer inspecting one of the nets. 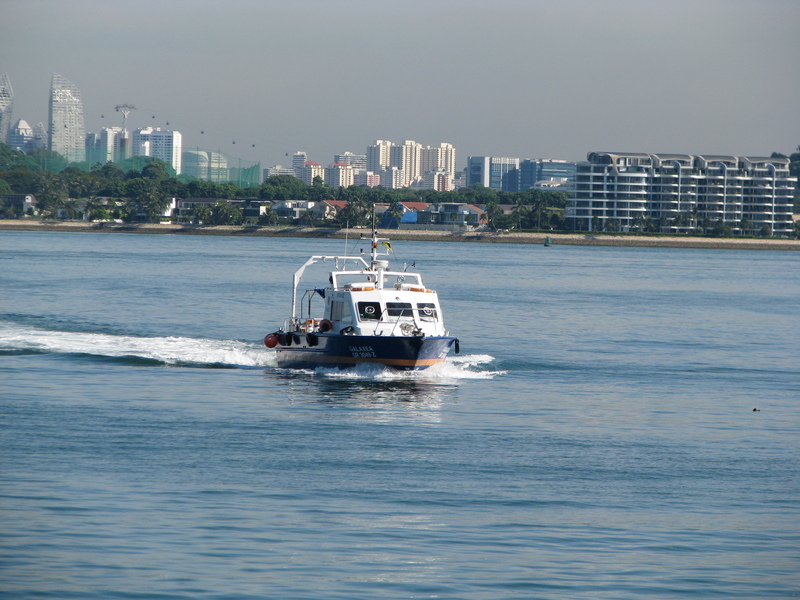 Trolling in Singapore is unique while being surrounded by massive vessels! 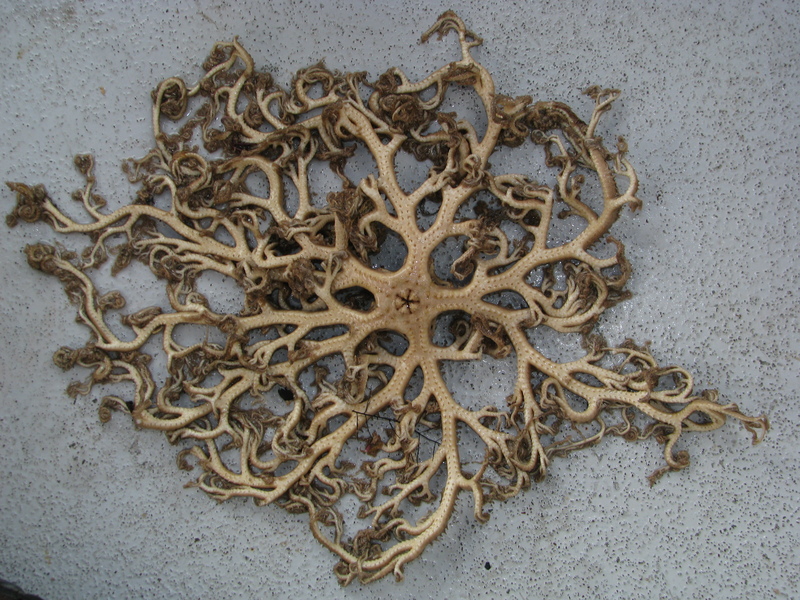 A sample from one of the nets (sampling at about 30 m). 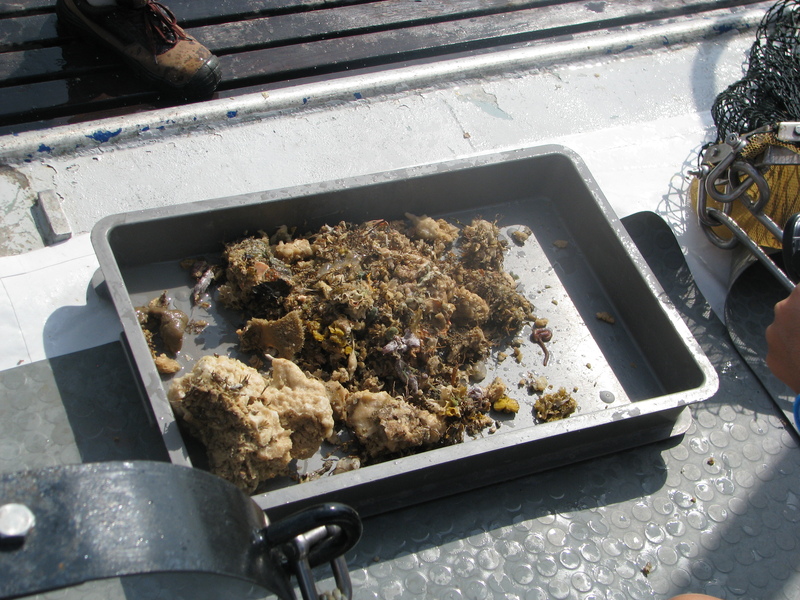 A usual load is composed of rocks and sediments and of course various species of animals of different sizes. 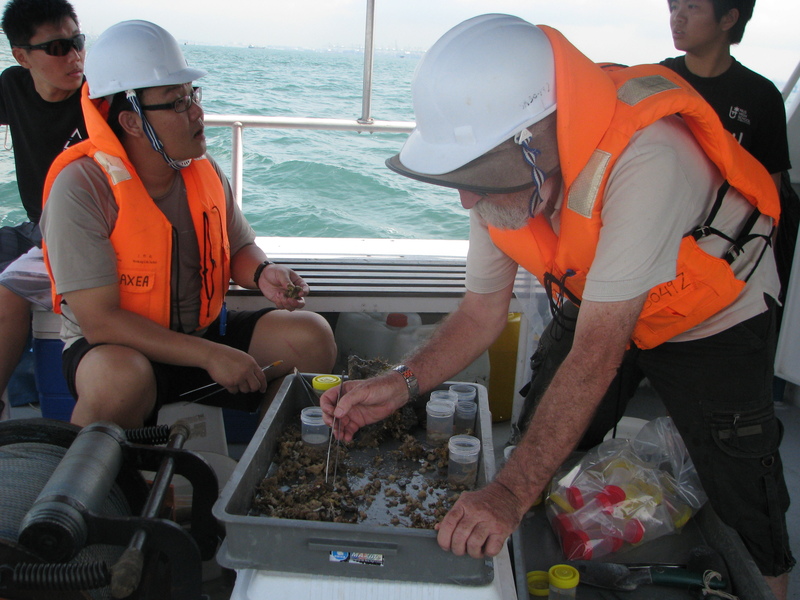 The next step involves to a pre-sorting of the species present. 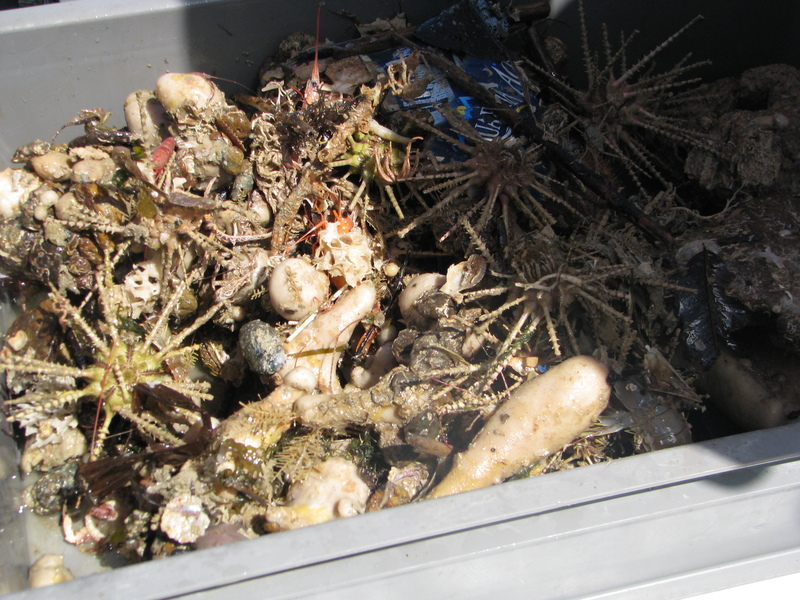 Different types of species are put into different plastic containers to be studied later on. 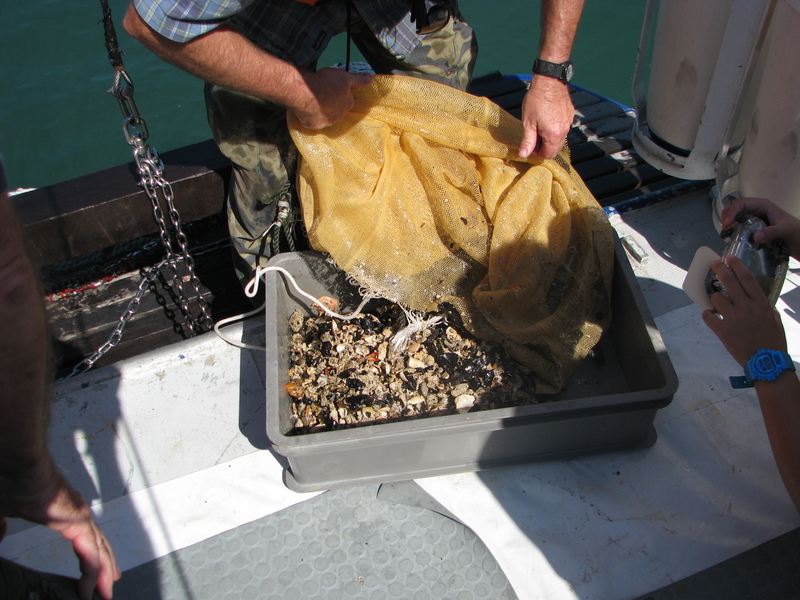 All the net content is then kept in a bag to be further sorted at the lab later on (we don’t want to miss any of the smaller animals!). 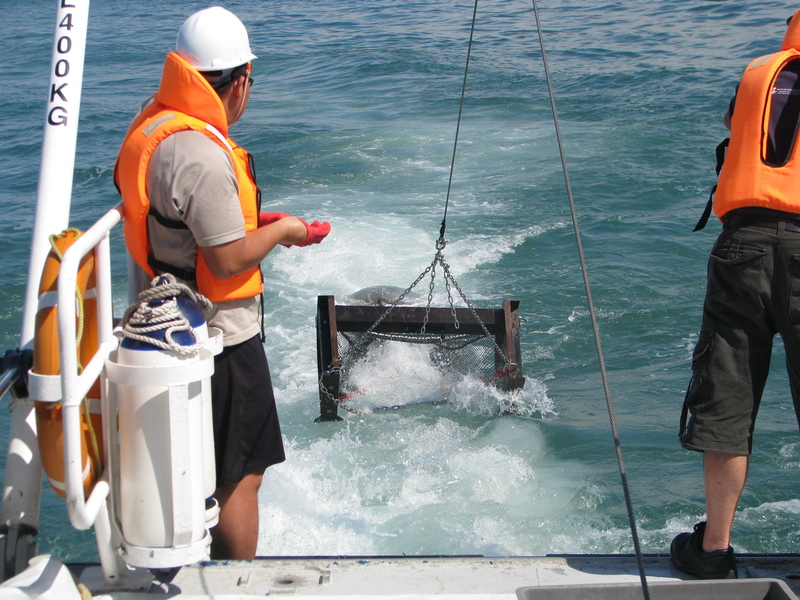 The exact location of the sample is carefully monitored. 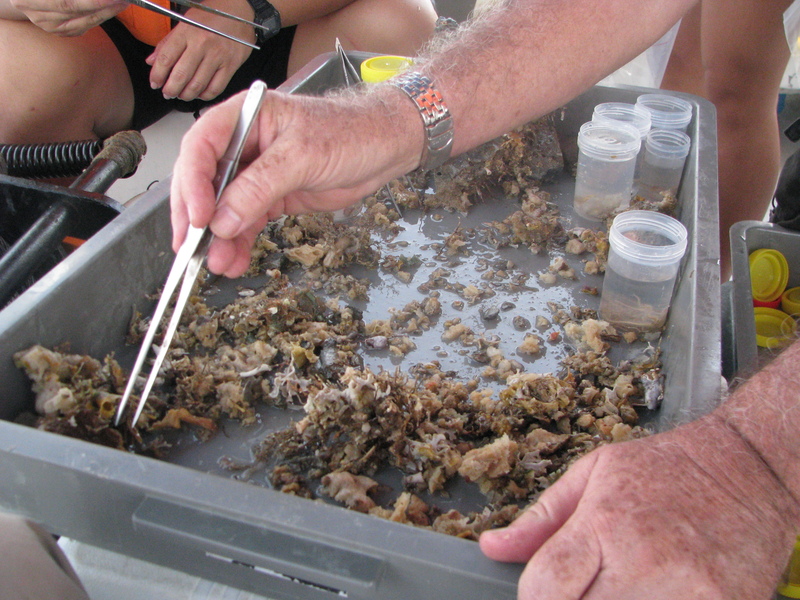 Researchers sorting the specimens. 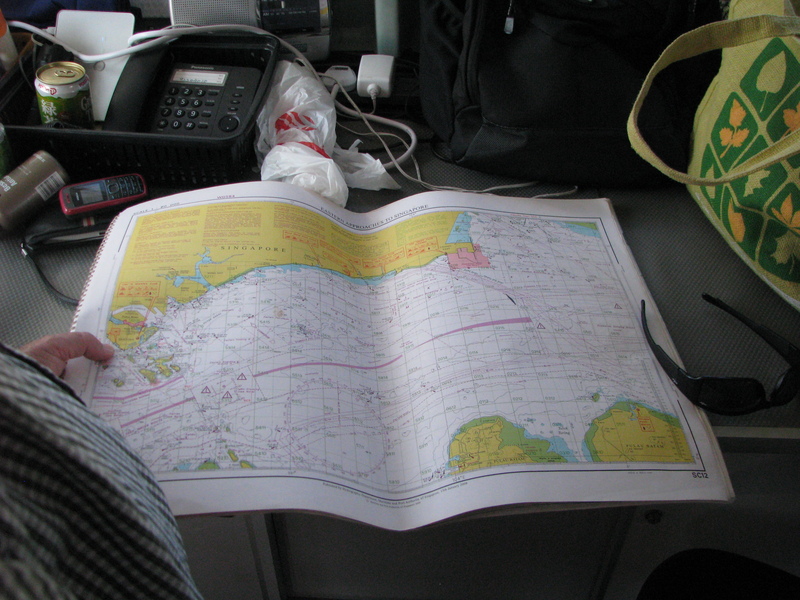 While anyone can do it, only the trained eye is able to identify important finds. 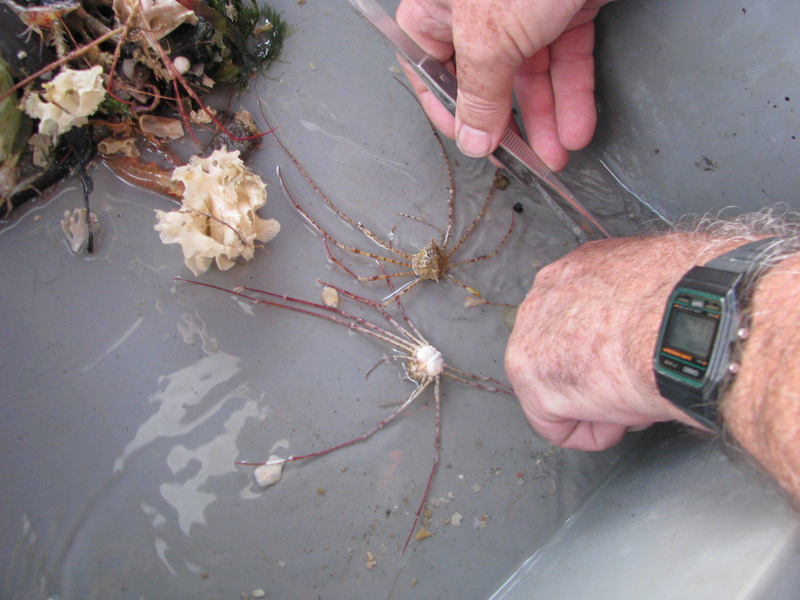 The back of the galaxea is equipped with a trolling bar allowing the net to be trolled back to the boat. 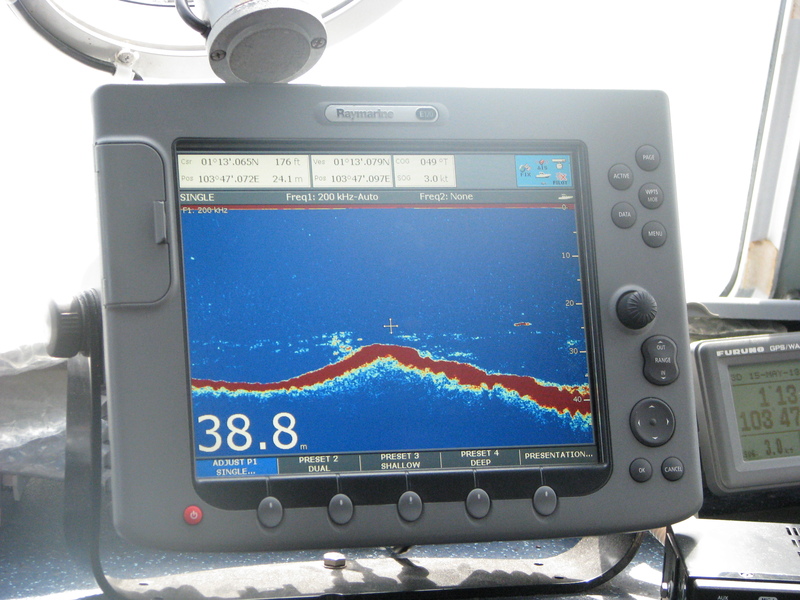 While on average depths is about 30m, there are a few holes in the area, the deepest being around 200m. 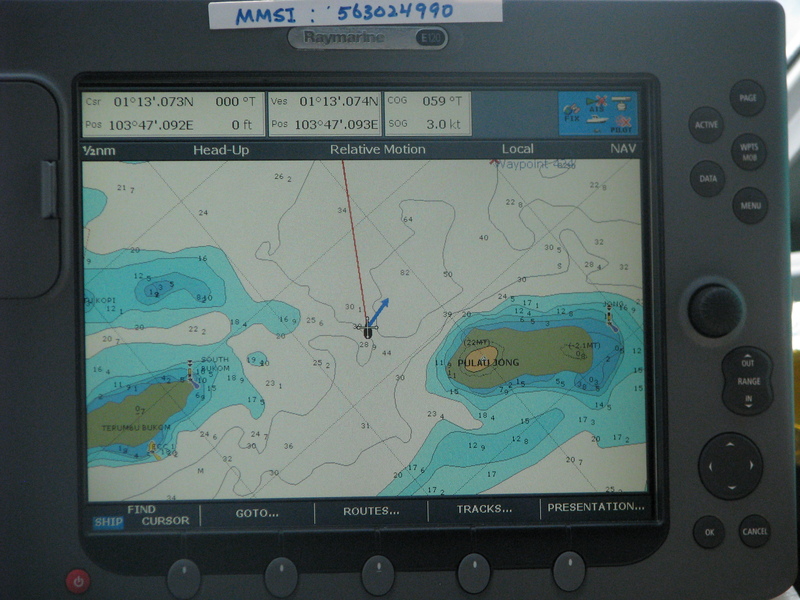 This time we tried to troll at 80m in a narrow passage between 2 islands. 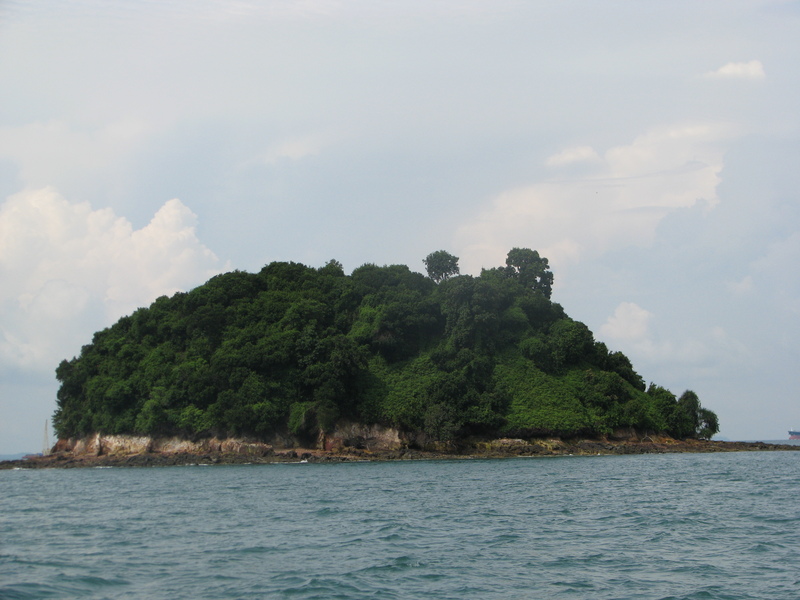 One of the many islands surrounding Singapore. 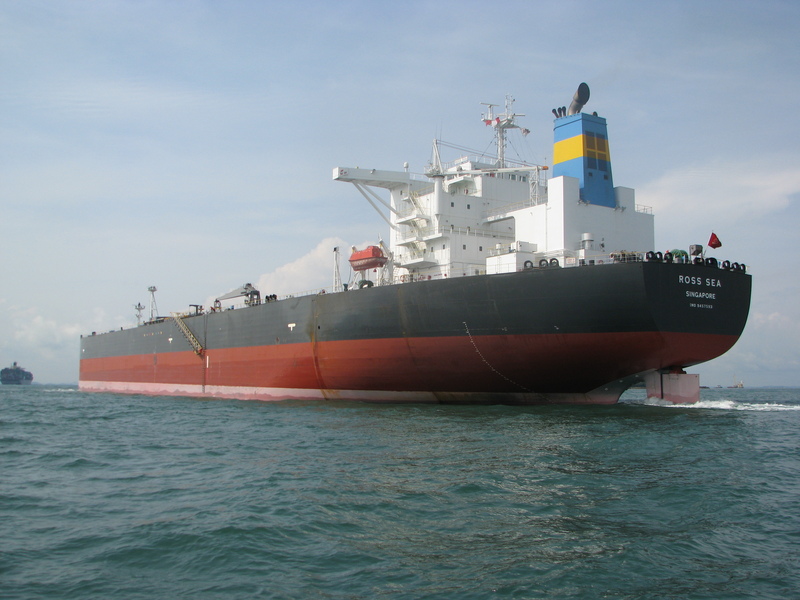 Despite one of the worlds busiest shipping line, the island still hold some coral reef colonies. 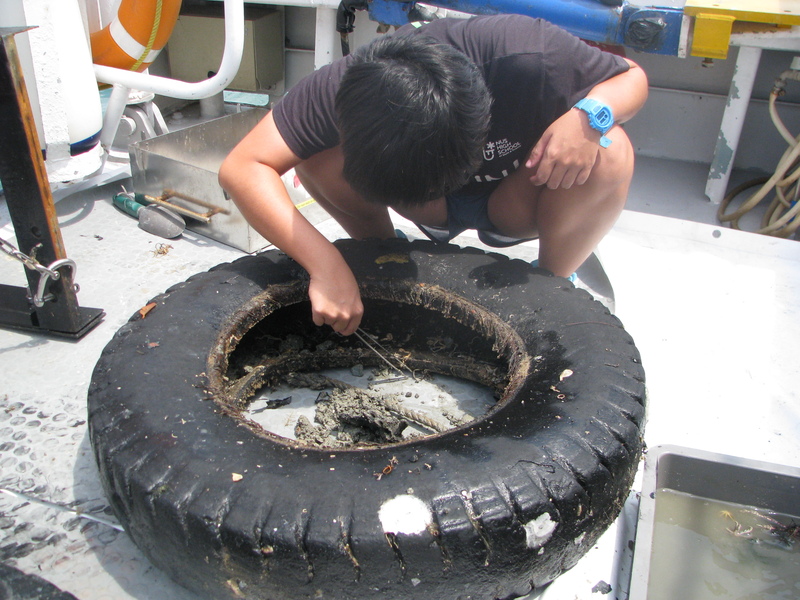 Tires collected on the sea floor are actually full of life. 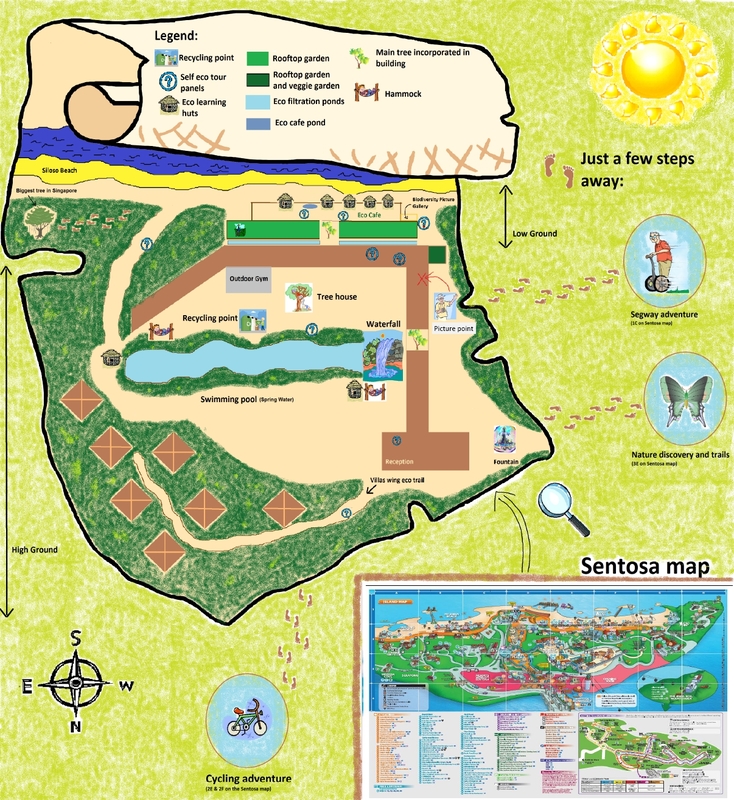 Their narrow interior provides habitat for various species which have taken refuge. Above some of the highlight of the day out. 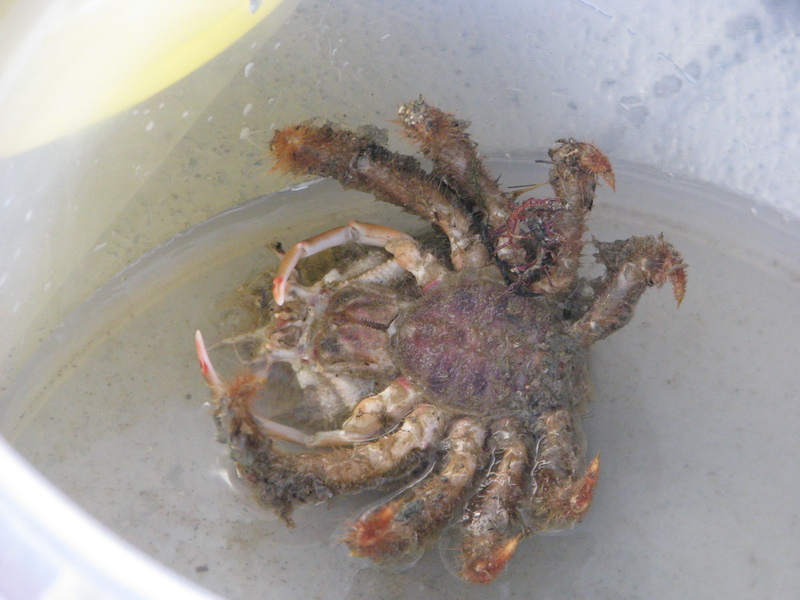 On the left a very rare species of crab which hadn’t been spotted in Singapore (and in fact anywhere) since the 18th century! 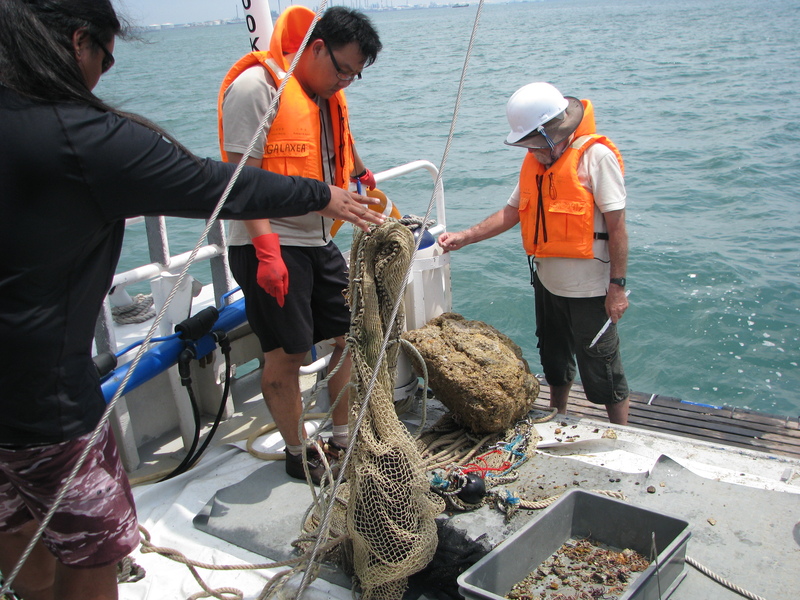 Sometimes unwanted items are collected in the net like this 300 kg rock! 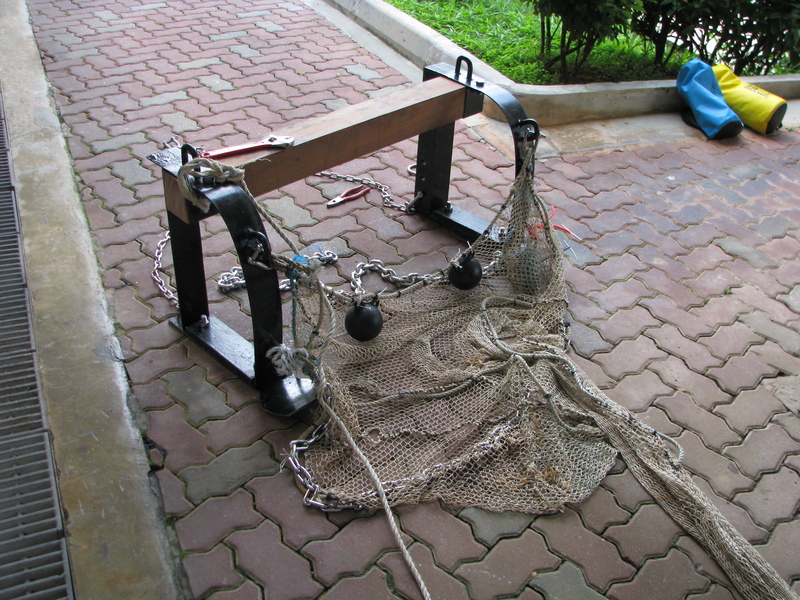 the rock was actually very difficult to bring up and has damaged the net and trolling system. 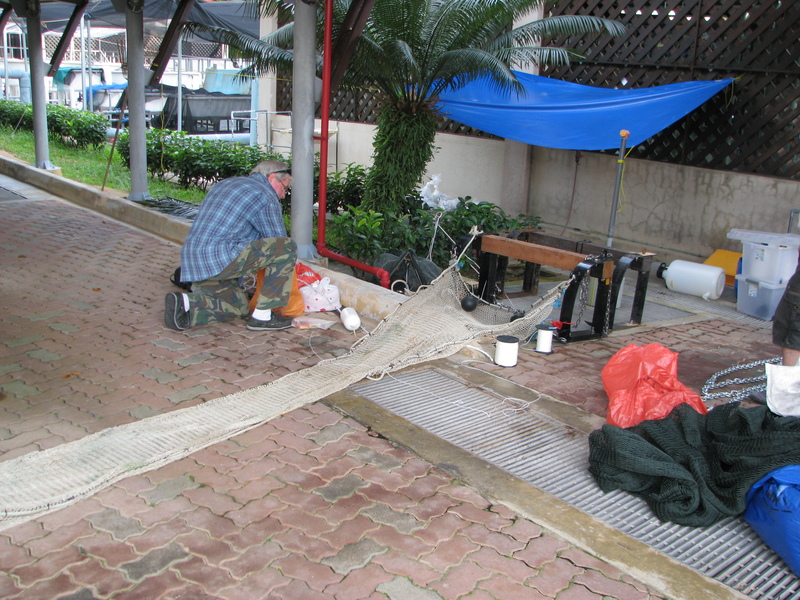 Successful catch at 70 m with a brand new net.